Understand context and intent to enhance the customer experience and drive results for your business. The Snaps NLP training engine will have your AI up and running quickly. The Snaps NLP training engine is built with complexity in mind; understanding meaning through context, intents, classes and slots. Integrate your knowledge bases, product sets and market data to create a multi-lingual digital agent that addresses your biggest contact drivers. Snaps brands can leverage system intents and classes to quickly address many common dialogues. 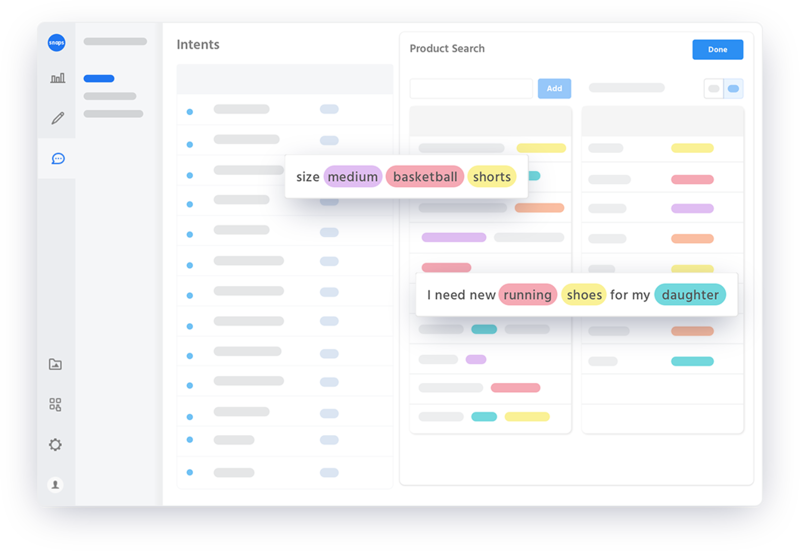 Whether you are looking for FAQ, WISMO, product search or content discovery, the Snaps NLP libraries will accelerate your time to market. 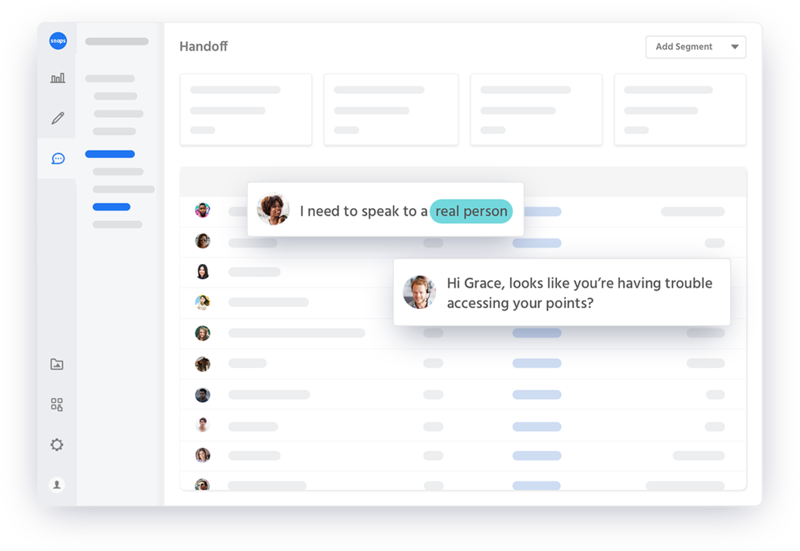 Track and optimize your AI based on real time conversations. See the overall context, intents and sentiment of the conversations. Be notified when the context of your conversations change. The Snaps NLP training engine has built-in triggers to hand sessions off to human agents based on proven intent and sentiment recognition. Customer care agents are provided full context of the conversation and are able to pick up where the AI left off.